#TalkSupe: #Top Ten Tuesday - Shelley's Top Ten Authors I Would LOVE to Meet! 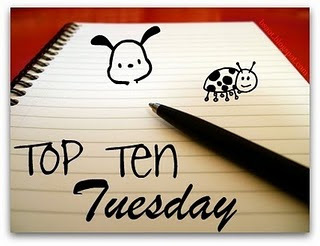 #Top Ten Tuesday - Shelley's Top Ten Authors I Would LOVE to Meet! I love her so much, especially after she put my blurb on the cover of one of her books! OOoh nice! I've met a few of these ladies already and they were all awesome! Naturally! LOL! I think my list of authors to meet would be ones that I read so loooong ago! Lol! Not entirely sure if they're all still writing or not! I have met Kelley Armstrong and she was SO nice. I had a friend in England that I was getting books signed for and Kelley held up a sign I made saying hi to my friend to take a picture of. I've been to a few cons and heard Jennifer Estep speak. I didn't meet her but she was fantastic on the panels. I've only ever read Jenna Black, but I WANT to read Darynda Jones and Anne Bishop. I've met DJones and IAndrews! :) Hope you get the chance to one day!! I have met Darynda Jones, she was at a book signing with a group of other romance authors. I do want to meet Illona Andrews though. That's a great list. I think it's great that so many authors are online where we can talk to them now. I remember back 25 years ago I never would have thought that I'd be able to talk to my favorite authors on FB. Wouldn't it be great for a whole bunch of bloggers to meet our fave authors for a HUGE dinner. Love this post! It's like you read my mind and stole me list. It's perfection!